great foodies, just like you. Wonderfood is a mobile app for foodies like you. by our community every month. Wonderfood is not just a collection of nice pictures: it’s a community of kindred spirits. 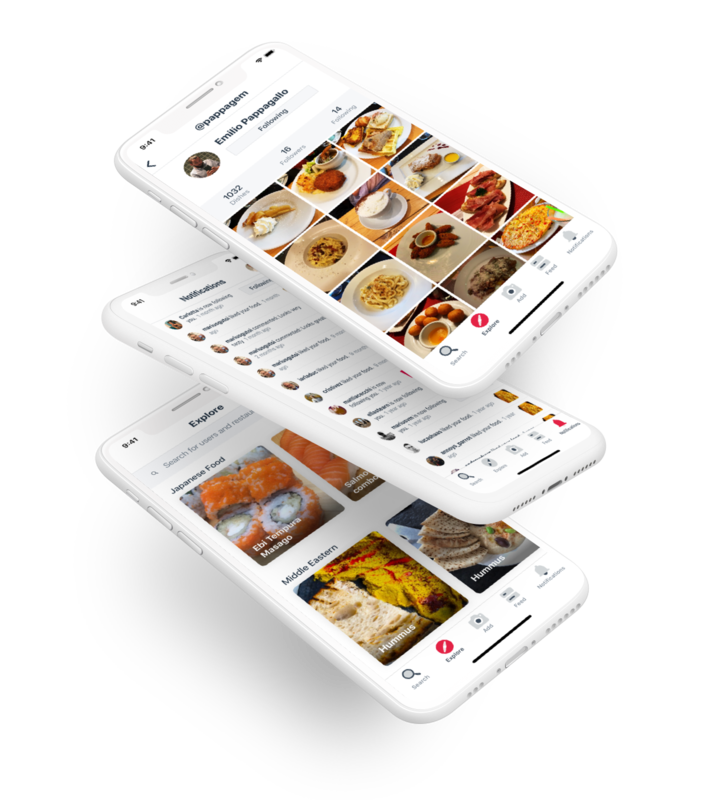 With Wonderfood you can interact with food lovers all around the world and continuously explore new cuisines. Wonderfood is the most delicious way to discover food and connect with great foodies. It allows you to share food pictures and find new dishes around you by searching among the hundreds of photos our community share every day. Wonderfood was designed to connect people and passion for food, helping them share great food experiences. Doesn't matter if you have a broad or a peculiar taste for food, you will find what you like most. Wonderfood is available for free on iPhone and iPod Touch. More platforms are coming soon! We’ll just email you about news from Wonderfood. No spam!